Heartfelt, energetic, and down home. 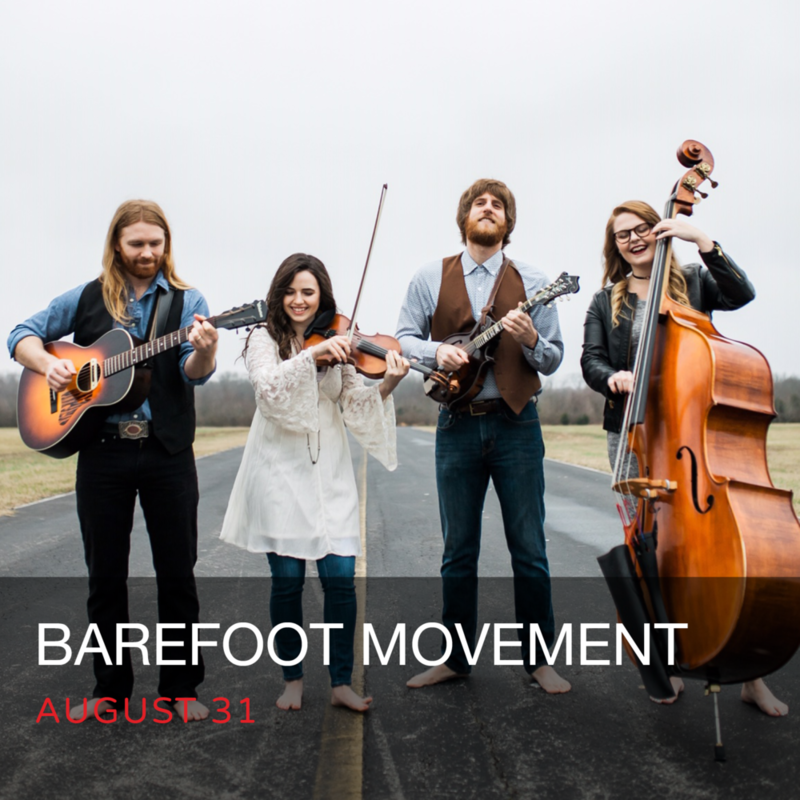 Heralded by CMT Edge as "one of the most promising bands on the bluegrass scene," the music of the Nashville based group The Barefoot Movement is as down to earth as their intention for members of their audience: sit back, relax, take your shoes off, and stay a while. All the worries and frustrations of the world melt away as this charming, acoustic band takes listeners back to a simpler place and time. The Bones of J.R. Jones’ latest album, Ones to Keep Close, is a crisp, expertly produced collection of stomp-along songs that evoke a vivid spectrum of feeling: pain, fear, excitement, regret, joy, longing. The Mulligan Brothers released their third studio album, Songs for the Living and Otherwise this past summer. The album brings joy and pleasure from dark songs about life, loneliness, death and spirituality. Lead singer/songwriter Ross Newell's warm, sincere voice brings out every emotion between pleasure and pain and makes you want to feel them over and over again. Recording this album was the best time they have had in the studio, but getting started writing the songs was tough on Newell. Life on the road leaves little time for writing songs and they stopped touring for several months to give Newell the time and space he needed. "There is a lot of pressure on the songwriter in a band," says Newell. "It was a relief when the songs started coming and a bigger relief when I knew we had enough songs." "Recording and producing this album ourselves gave us the luxury of seeing the vision all the way through to the end without outside influences making us second guess ourselves," says Newell. "There is a new confidence in this album and we are thankful for the great people who support us and gave us the courage to try something new. It is freeing to let go and create an album that we will enjoy playing on the road every night." The Mulligan Brothers started playing together five years ago in bars on Dauphin Street in Mobile and now play around the world. They have played on the Cayamo music cruise and 30A Music Festival ,NPR's Mountain Stage and made their fourth appearance at Jazz Fest in New Orleans. Songs for the Living and Otherwise was mixed by Grammy-winning producer Trina Shoemaker at Dauphin Street Sound in Mobile and is the follow up to Via Portland and their debut album, The Mulligan Brothers. Nathan and Heather are coming to Serenbe on March 22nd for a night of americana and folk music. Kevin has amassed a long list of awards that include being the Winner of the Jazz Piano Association pianist of the year. He toured and recorded for 10 years with Grammy Nominee Rene Marie and continues to be the first call pianist for the likes of Marcus Printup, Gordon Vernick, Joe Gransden Big Band and many others. 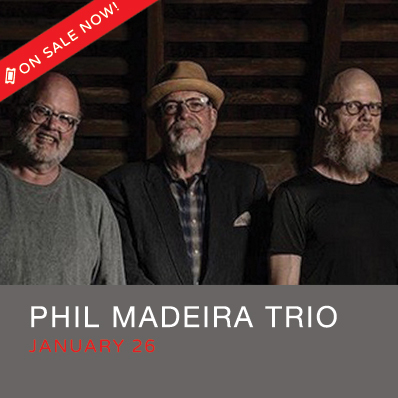 He is widely recognized as one of the finest jazz pianists on the planet. Jared and Amber are in love with each other and with music, so naturally, they started making music together. Both went to school for music and quickly decided music was great and school was not. In 2006, they were married and moved to the lovely city of Decatur in 2011 to pursue music together full-time. Since then they have had the pleasure of playing TEDx Atlanta, writing for other artists, winning Eddie's Attic 2012 Songwriter Shootout, and being named one of the top 7 bands in Atlanta by AXS. They play their own brand of theatrical folk rock, and stand out from other rootsy duos with their soaring harmonies and intricate arrangements. Along for the ride are Audrey & Autumn (the twins! ), their dog Ramona, a lot of coffee, and some fantastic family and friends. Adam Whipple has spent years on the road, honing and polishing his stage presence and songcraft, but he cut his teeth as a writer at the famed New City Café, Knoxville's one-time home for creative musical expression that became a proving ground for artists like Andrew Peterson, David Wilcox, Derek Webb, Sandra McCracken, Among Savages (Peter Barbee), Ed Cash, and Jennifer Daniels. 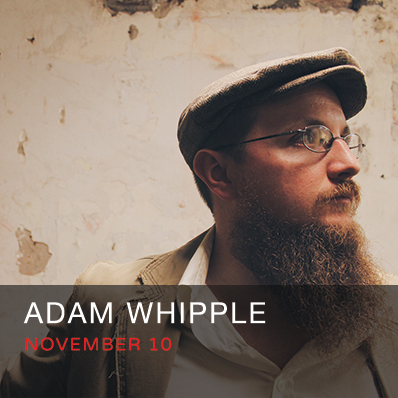 Fast forward fifteen years, and you’ll find Adam as a skilled multi-instrumentalist, arranger, and composer laboring to support numerous other artists in addition to doing his own personal work. His new full-length project, The Broken Seasons, is the product of a successful crowdfunding campaign and has already garnered critical acclaim. Adam is also the leading editor of the arts journal Foundling House, based in Knoxville and publishing poetic, prosaic, review, and essay content from around the country. Adam’s work has been published in Curator Magazine, on Analogue, and in Molehill by Rabbit Room Press, along with his own independently published chapbook A Channel to the Sea. AJ Ghent [ j-ent ] fuses the sounds of rock, blues, funk and pop into what he likes to call Neo Blues. The musical art produced has been classified as witty, energetic, soulful and funky, with messages of positivity, love and overcoming hardships. He has had a colorful career thus far playing and opening for such legendary acts like Zac Brown, The Allman Brothers Band, Derek Trucks, Robert Cray, Colonel Bruce Hampton and Gov’t Mule. He can be heard on various recordings with Zac Brown, Luther Dickinson, and featured on Zac Brown’s 2013 Grohl Sessions Vol. 1 alongside Dave Grohl (Foo Fighters). The energy and passion which resonates from AJ’s music, from the strum of the guitar and the conviction of the vocals, the pounding rhythm of the drums, to the thought provoking lyrics, is sure to be felt by any crowd. AJ aims to create an unforgettable experience for music lovers, with the hopes of taking them to a musical paradise. A little hip-shaking, finger snapping, head nodding is all you need for this tuneful travel excursion. AJ calls James Brown, Prince, and his family heritage as influences. He can be heard picking, sliding and strumming all over those strings, whether it’s one of his custom built 8-string lap steel hybrids or his acoustic resonator. What is different from most lap steel players is AJ performs standing upright like a guitar player, using his over handed technique to play slide, so that he can dance, and have more mobility during his live shows. AJ was born to fly! AJ Ghent [J-ent] knows where his talent comes from and isn’t afraid to explore other sounds. His new album (released March 16, 2018) titled The Neo Blues Project is something different: A musical fusion form that takes art and skill to master, something that AJ Ghent [J-ent] has spent his whole life perfecting. The album debuted #7 on the Billboard Blues Charts on its release week. Listen to Michelle Lewis sing the songs from her new album at Art Farm at Serenbe on November 3rd. “All That’s Left” is already receiving rave reviews. Michelle Lewis' music is rich with melody, and her lyrics seek beauty in the face of sadness. Too refined to call folk and too personal to call pop, as a singer/songwriter, Michelle's music is uniquely intimate and surprisingly polished. As a storyteller, she writes intensely visual songs that explore the emotional remainders in burgeoning and breaking relationships. Liz Longley will be bringing lots of new music for this special night! Liz connects with her audiences through her timeless lyrics about love, gratitude, and friendships. Praised by American Songwriter, Huffington Post, and CMT Edge, to name a few. Liz Longley’s latest album delivers bold, thick, pop with rock-and-roll edges. 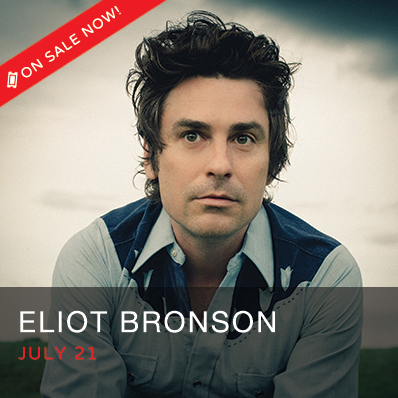 The starkly personal lyrics explore complexities and even dysfunction of relationships. Her award-winning songwriting is stronger than ever, and producer Bill Reynolds, the bassist of Band of Horses (also produced The Avett Brothers, Lissie) helps embrace a lush, pop-rock approach which marks a musical evolution for Longley. For painters, the joy and challenge of creation begins with a blank canvas. For Liz Longley, it started in an empty room. While Longley's songs and vocals invite complimentary comparisons to Shawn Colvin, Paula Cole and Nanci Griffith-all artists she's supported live-her latest effort spotlights a style and confidence that's all her own. You can hear it in the subtle-yet-soaring vocals on "Memphis," the dagger directness of "Skin and Bones," the bittersweet farewell that drives "This Is Not the End" (featured in the 2012 season finale of Lifetime's Army Wives). They're all cuts that dare you to hold back the goosebumps. She says she'll continue to open her soul in the service of her art because that's what matters most to her. "Every time I get into these songs they resonate with me, lock with me, because they're based on something I went through," she says of the new collection. "I hope they connect with people and that they'll help with whatever they've gone through. That's what music does for me, and I hope I can do that for someone else." After all, what better way to fill an empty room than with fully realized music? TERREON GULLY & MARC CARY "STICKS & TONES"
Terreon Gully is one of the most influential artists of his generation and has mastered a variety of musical genres. Widely recognized for his creativity, versatility and authenticity, his innovative and distinct sound has inspired artists such as Dianne Reeves, Christian McBride as well as Stefon Harris to make him a member of their bands. He is also part of John Beasley’s acclaimed group MONK'estra. Terreon tours with jazz legends and modern masters to the hottest hip-hop icons and has worked with the best: Kurt Elling, David Sanborn, Nicholas Payton, Kenny Barron, the Stones Project, Sting, the Benny Green Trio, Queen Latifa, Yerba Buena, Charlie Hunter, Abbey Lincoln, Marc Cary, Russell Gunn, Lizz Wright, Jacky Terrasson, Eldar, Me’ Shell NdegeOcello, Lauryn Hill and Common, as well as a host of other artists. Marc Cary remains one of the progenitors of contemporary jazz, evident in his influence on peers. Cary's Ellington education prepared him to take on the daunting Big Apple at the ripe age of 21. He refined his chops as musical director with Abbey Lincoln, Betty Carter and Dizzy Gillespie amongst many others. Marc Cary says "The main thing is the intention behind what you say musically; [that's] the beauty. If you're thinking something and you hit that note, the resonance of what you're thinking actually goes through that note. It's like a telephone frequency carrying your voice–literally. That's the power." Cheikh Ndoye is a bassist, composer, arranger and accomplished musical artist whose music is a rich fusion of jazz and world music influences stemming from his West African heritage combined with his love for classic and contemporary American jazz. Originally from Senegal, Cheikh’s fascination with the diverse, rich sounds and rhythms of the local music scene started in his prime age. Early in his life Cheikh played the piano, and was attracted to many jazz greats.